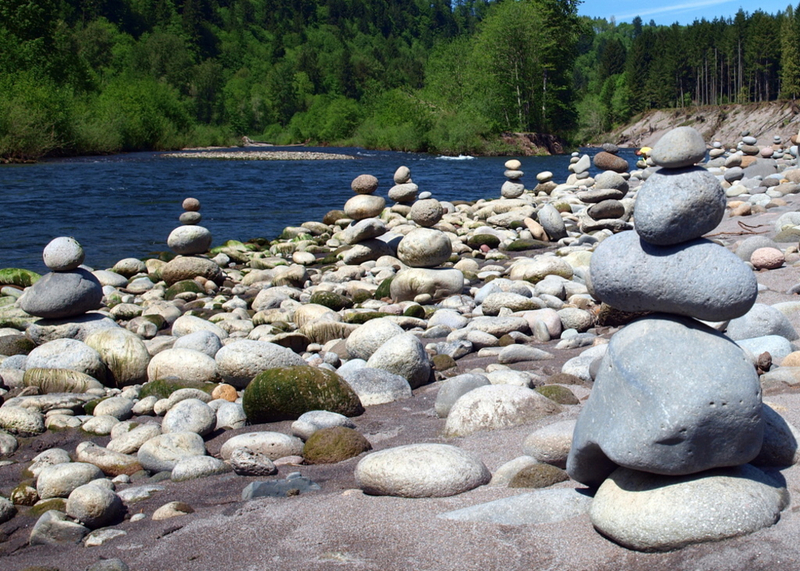 Oxbow Regional Park is a very family friendly park located within the old-growth forests of Sandy River Gorge. Varies, there are 12 miles of trails in the park. Varies, depending on how long you want to spend here. 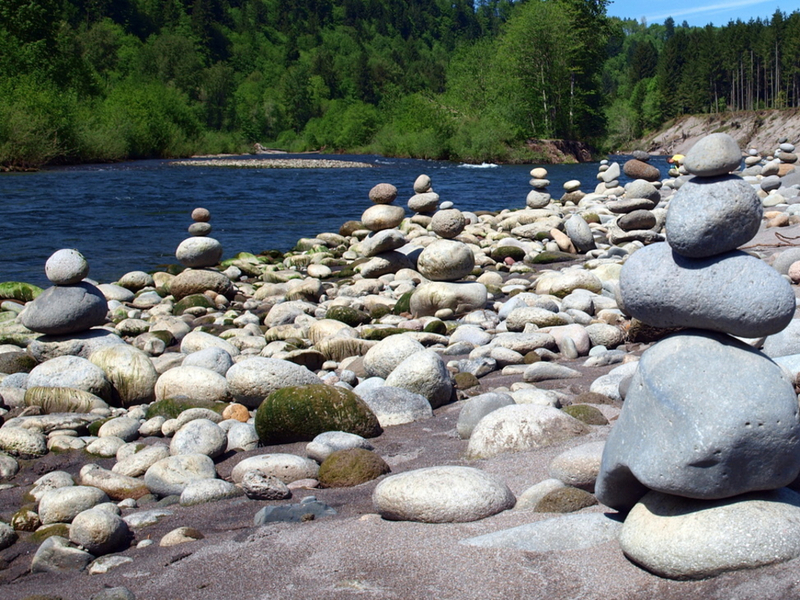 Located within the scenic and old growth-laden Sandy River Gorge, the 1000-acre Oxbow Regional Park possesses all the right trimmings: an old growth forest, 12 miles of trails, and lots of camping, picnic areas, and playgrounds. Oxbow has some nice family-oriented aspects to it that are enjoyable as well. Aside from hiking, the beach areas within Oxbow are gorgeous. At Oxbow pets and alcohol are not allowed, which might be a bummer if the family dog is a constant companion. However, if you have littler ones that get spooked by unleashed dogs, or are put off by the drunken caterwauling of college kids, this is a great option for you. You can lie out, swim, raft, kayak, build sand castles, and the like, all in relative peace. This natural area creates a great natural habitat for a variety of animals for observation such as salmon, elk, osprey, fox, mink, black bear, and cougar. The twelve miles of trail contained in this park is possibly the most appealing aspect and allows the hiker or runner to explore an ancient forest that contains trees that are a century old and rocks and ravines that originated out of volcanic and glacial flows. For those who enjoy hiking, there is a beautiful 8-mile loop that allows you to see the entire park instead of just the developed southern section. There is a park map in the park’s brochure that is easy to follow with junctions labeled A through O, making it even easier to navigate. For this hike, you start at Oxbow North Trailhead, which starts at Marker A. The details about how to get there are below. For a delicious food and drink option, try Nicholas Restaurant in Gresham. They have killer Lebanese food with a great patio featuring fire pits. The park is by the river, which draws people who are interested in a variety of activities. There is something here for most people to enjoy, including swimmers, rafters, kayakers, and even those who enjoy fishing out of a drift boat. The trail is accessible for hikers and trail runners of all experience levels because of the grade. It is also very simple to make into a shorter loop if needed. To get to the Oxbow North Trailhead from Portland, drive east on I-84 to exit 17 for Troutdale and go straight at the first traffic light for .5 miles. Take a right on 257th Drive at the next light towards Troutdale and drive 2.8 miles to Division Street and make a left. Drive 1.2 miles to a stop sign and keep straight and after 1.5 miles, the road curves right and becomes SE Oxbow Drive. In 2.2 miles, take a left on SE Oxbow Parkway and drive downhill for 1.7 miles and reach the fee station at the park. There is a fee of $5 to get into the park. Go .1 miles and turn right onto a gravel track around a picnic area and park near the trail sign Marker A. The park is open from 6:30 AM until the sun goes down.